Prudential Financial, Inc. (NYSE: PRU), a financial services leader with more than $1.2 trillion of assets under management as of March 31, 2017, has operations in the United States, Asia, Europe, and Latin America. The diverse and talented employees of Prudential Financial, Inc. (PFI) are committed to helping individual and institutional customers grow and protect their wealth through a variety of products and services, including life insurance, annuities, retirement-related services, mutual funds, and investment management. In the U.S., Prudential's iconic Rock symbol has stood for strength, stability, expertise and innovation for more than a century. The Prudential Insurance Company of America (PICA) and Prudential Retirement Insurance and Annuity Company (PRIAC), both wholly owned subsidiaries of PFI, are leading the way in helping all types of defined benefit plans in the United States create a clear path to pension de-risking, regardless of their plan size or funded status. As the largest manager of U.S. pension buy-outs, PICA's and PRIAC's risk transfer solutions combine its core strengths in retirement, insurance and asset management. In addition, PRIAC provides longevity reinsurance to insurers in the United Kingdom. These strategies transfer longevity risk to PRIAC in exchange for reinsurance premiums, and deliver the flexibility U.K. insurers need, along with the added security their clients demand. For its innovative work in the $27 billion BT Pension Scheme transaction, and its continued support in this important growth area for the pension industry, PFI has been named “Reinsurer of the Year” for the past three consecutive years (2014-2016). The Society of Actuaries (SOA) is a global professional actuarial organization, with more than 28,000 members in 84 countries. A credential from the SOA is well respected, highly portable (between both employers and countries) and recognized by regulatory bodies around the globe. The SOA offers rigorous education pathways covering all areas of actuarial practice, including Corporate Finance and Enterprise Risk Management, General Insurance, Group and Health, Individual Life and Annuities, Quantitative Finance and Investment and Retirement Benefits. Our distinguished credentials, Fellow of the Society of Actuaries (FSA), Associate of the Society of Actuaries (ASA) and Chartered Enterprise Risk Analyst (CERA) demonstrate a mastery of risk management and analytic skills. The SOA is recognized the world over for the strength of our credentials, the rigor of our education, the reach of our network, the quality of our research and the work we do to advance the interests of actuarial professionals around the globe. For more information, please visit SOA.org. Cathay Life Insurance Established in October 1962 and listed on Taiwan Stock Exchange in November 1964, Cathay Life Insurance Co., Ltd. ranks numbe r one in the industry in terms of both total premium income and total assets. In 2016, we recorded US$20.68 billion in total premium income and US$170.82 billion in assets. With more than 8 million customers, one-third of population in Taiwan, we are not only a premium brand in the minds of consumers, but we have also won the recognition of professional institutions at home and abroad. Our efforts are well-recognized by professional institutions. In Taiwan, we were recognized in the "Taiwan Insurance Excellence Award," the highest honor in the insurance industry by being a six-time consecutive winner and recipient of the highest number of medals. Globally, we were included in the Global 500 list selected by Fortune Magazine, the only financial institution in Taiwan to have achieved this honor. Cathay Life is dedicated to investing in Corporate Sustainability (CS), including environmental, social and corporate governance issues. We were not only domestically awarded Taiwan Corporate Social Award but also globally incorporated into Dow Jones Sustainability Indices (DJSI) due to the complete, long-term contribution. Cathay Life embraces a vision of leading financial institution in the Asia-Pacific region. We were humble to reach a number of achievements along with our customers in the past. Looking forward, Cathay Life will continue to improve the scale of corporate sustainability, secure the leading position in Taiwan insurance industry, and firmly develop advanced global business strategies. Founded in 1947, Franklin Templeton Investments is recognized as a leader for its global growth, value stock investments and innovative fixed-income products under the Franklin, Templeton, and Mutual Series. Franklin Templeton Investments, with over $752.7 billion in assets under management (as of July 31, 2017), has grown to the current size of 9,000 staff, including 650 investment professionals and has 46 offices in 35 countries around the world. Franklin Templeton Investments offers more than 200 investment products, providing investors with the flexibility to choose from a great variety of goals—from value to growth and sector–specific to international—to meet their individual investment objectives. -First publicly traded mutual fund company listed on S&P500 index; traded in New York Stock Exchange, Pacific Exchange and London Stock Exchange. Franklin/Templeton Securities Investment Consulting (SinoAm) Inc. Established in 1991, Franklin/Templeton Securities Investment Consulting (SinoAm) Inc. is the master agent of the Franklin Templeton Investments in Taiwan. It offers a diverse range of funds , in-depth research reports and consulting services of asset management. Headquartered in Taipei, Franklin/Templeton Securities Investment Consulting (SinoAm) Inc. has subsidiaries in Taichung and Kaohsiung. The investment services include retail mutual funds distribution and institutional investments. In accordance with the corporate mission of global and long-term investment, Franklin/Templeton Securities Investment Consulting (SinoAm) Inc. is dedicated to offer professional investment services of mutual funds to investors in Taiwan. Thisinformation is provided by FranklinTempleton Securities Investment Consulting(SinoAm) Inc.
Franklin Templeton Securities Investment Consulting(SinoAm) Inc is a separately entity and independently operating business. Fubon Life Against a backdrop of low interest rates and declining profitability, Fubon Life delivered excellent financial performance in 2016. Net profit totaled NT$28.688 billion, or NT$4.13 per share. First-year and total premiums were NT$204.3 billion and NT$493.6 billion, respectively. Throughout the year, the company earned accolades from industry and news publications recognizing its exceptional leadership in operational performance, client service and involvement in the community. Asia Insurance Review named Fubon Life as Life Insurance Company of the Year and Insurance Company of the Year for Agents in 15 Asia-Pacific countries. World Finance awarded it Best Life Insurance Company, Taiwan for the fifth time. 2016 also marked the sixth consecutive year that Fubon Life was selected by finance and insurance graduates as the best company to work for. Other honors included a stellar number of 16 awards from the 18th Faith, Hope, and Love Awards, and first place in the Life Insurance category in CommonWealth magazine’s Golden Service Award. 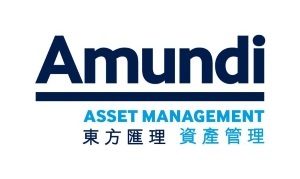 Amundi is Europe’s largest asset manager by assets under management and ranks in the top 10 globally. Thanks to the integration of Pioneer Investments, it now manages over USD1.3 trillion of assets across six main investment hubs . Amundi offers its clients in Europe, Asia-Pacific, the Middle-East and the Americas a wealth of market expertise and a full range of capabilities across the active, passive and real assets investment universes. Headquartered in Paris, and listed since November 2015, Amundi is the 1st asset manager in Europe by market capitalization and the 5th globally. Visit amundi.com for more information or to find an Amundi office near you. Invesco is an independent investment management firm dedicated to delivering an investment experience that helps people g et more out of life. With over 6,800 employees worldwide, Invesco manages over US$850 billion of assets under management around the globe, serving clients in more than 120 countries (as of June 30, 2017). 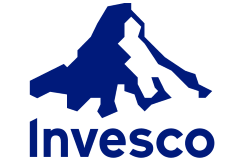 Invesco was established in December 1935 under the laws of England and Wales. Operating in more than 20 countries, the firm is currently listed on the New York Stock Exchange under the symbol IVZ. Having been here since 1962, Invesco is one of the most experienced investment managers in Asia. Today, Invesco has a comprehensive presence in the Asia Pacific region with offices in Australia, China, Hong Kong, India, Japan, Singapore, South Korea and Taiwan. Invesco has also established presence in Mainland China via a joint venture operation. No. 1 worldwide in creditor insurance, BNP Paribas Cardif creates innovative savings and insurance solutions designed for performance in a world shaped by the emergence of new uses and lifestyles. A subsidiary of BNP Paribas, the company has a unique business model anchored in partnerships. BNP Paribas Cardif co-creates solutions with distributors in a variety of sectors, who then market the products to their customers. BNP Paribas Cardif is a recognized global specialist in personal insurance, serving 100 million clients in 36 countries with strong positions in three regions – Europe, Asia and Latin America. With over 10,000 employees worldwide, BNP Paribas Cardif had gross written premiums of €27.1 billion in 2016, 57% of which was generated outside France. Cardif Assurance Vie, Taiwan Branch is a subsidiary of BNP Paribas Cardif. It offers a range of savings and protection insurance products and is a market leader in unit-linked insurance and creditor insurance products. The company currently has over 400 employees and has formed partnership with more than 20 financial institutions in Taiwan. In 2016, Cardif Assurance Vie, Taiwan Branch’s gross written premiums recorded NT$48 billion and ranked the 23rd in Top 100 financial company and 13nd in life insurance category which survey conducted by CommonWealth Magazine. AllianceBernstein L.P. (“AB”) is a leading global investment management firm that provides diversified investment ma nagement services worldwide to institutional, high-net-worth and retail investors. The investment services encompass equities, fixed income, multi-asset and alternatives. AB also provides independent investment research, trading and brokerage-related services to institutional clients through Bernstein Research Services. AB is one of the largest investment management firms in the world, with $526 billion in assets under management as of 31 July 2017. In 2001, AllianceBernstein L.P. set up its Taiwan office and acquired a local SITE company in 2011 to form AllianceBernstein Investments Taiwan Limited. It allows us to utilize AB’s global investment resources to strengthen our local investment capability. We work closely with our clients and provide timely market updates, research insights, and on-the-ground client services across major cities including Taipei, Taichung and Kaohsiung. Over the years, we’ve brought together its resources in the region and around the world to support Taiwanese clients and to keep them “Ahead of Tomorrow”. AB Taiwan has received Best Retail House/ Best House for Offshore Funds from Asia Asset Management Magazine for seven consecutive years. Mercuries Life Insurance Co., Ltd. (MLI) was founded in 1993 and became a TAIEX listed company in December 2012. MLI focuses on high value-added products, including life insurance, health insurance, accident insurance, annuities, universal insurance, group insurance, and investment-linked insurance, and primarily operates its business in Taiwan through seven branch offices located in Taipei, Taichung, Chiayi, Tainan and Kaohsiung. Over the years, MLI has maintained steady growth in revenue, assets, and in-force policies, and is now one of the leading brands in Taiwan’s life insurance market. In 2017, the number of our customers and policies in force exceeded 2.3 million and 3.9 million, respectively. Mercuries Life Insurance has been actively developing overseas markets, with an emphasis on employee training and balanced organizational development. We focus on the needs of our customers and seek to strengthen operational efficiency while expanding our business.